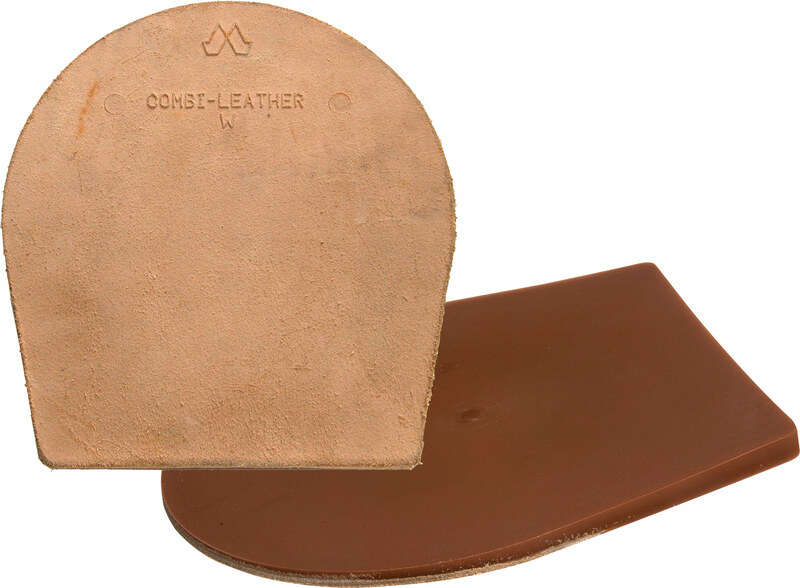 The combi leather pad is a combination of premium leather and a strong polyurethane ground layer. The leather provides natural comfort on the hoof side of the pad and prevents the pad from slipping out between the hoof and the shoe. The polyurethane provides great protection for the sole under hard ground conditions.